How rising bond yields could distort rate trajectory? The bond market is concerned about the uncertainties on different fronts including expected farm loan reliefs, retail consumer price rises and the upcoming budget math. A cocktail of domestic factors has triggered spikes in the benchmark bond yields, which in turn could disrupt prospect of softer interest rate regime ahead in the year leaving policy makers in a quandary. Moreover, election uncertainties are looming large with the country’s general elections falling due next two-three months. Foreign portfolio investors are said to be in wait and watch mode as a new government will rein in New Delhi framing policies for next five years. Benchmark bond yields on the old series have surged 23bps since the beginning of the year to close at 7.6% last Friday. Even if the Reserve Bank of India (RBI) is expected to shift its rate stance at the monetary policy announcement next month, market rates may not fall given elevated government bond yields. A basis point is 0.01%. Benchmark bond yield provides a base against which all corporate bonds are priced. Hence, a rise or fall directly effects corporate funding costs. An increasing borrowing cost just negates any softer interest rate regime. In past two weeks, Finance Minister Arun Jaitley and agriculture minister Radha Mohan Singh both hinted at possible relief package for farmers citing distress that farm sector is facing while refuting any sort of “populist” measures. “Markets will never understand if you act for the sake of populism,” the finance minister said. “But if it’s in the larger interest because of a compelling situation that develops, that’s a logical thing that markets tend to understand,” he said. The CPI (Consumer Price Index) data showed core inflation readings higher led by a sharp increase in education and health indices. India’s retail inflation rate based on the consumer price index (combined) eased to an 18-month low of 2.19% in December, down from 2.33% a month earlier. The gauge, a key for the central bank’s monetary policy decisions, stayed below the RBI’s medium-term target of 4% for the fifth straight month. But, Retail inflation in health was 9.02% and that in education at 8.38%. If the government forks out extra cost for farm sector, it increases its fiscal funding needs as New Delhi has excess expenditures over revenues. This entails a fear factors that it will breach in its fiscal deficit target resulting in higher debt capital market borrowings next financial year that begins from April 1, said market experts. Extra supply of sovereign papers will also push up bond yields with the demand remaining the same. Bond yields and prices move in opposite directions. 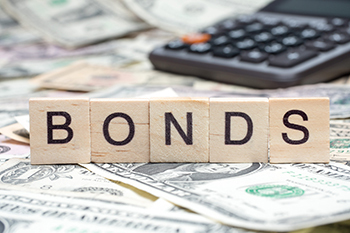 A rising bond yield is exactly contrary to a softer interest rate regime, which is expected to set in with RBI’s anticipated change in the policy stance. The central bank will announce its next bi-monthly policy on February 7. In between a drastic fall in global crude oil prices only points to lower import bill for India, which meets over three-fourths of its oil requirement via overseas shipments. The global crude prices dipped over 27% from its near term peak at $86 per barrel earlier on October 03, last year. The new set of benchmark bonds, introduced more than a week ago, have also showed signs of weakness with yields rising nine basis points to close 7.31% last Friday. The new papers are yet to gain momentum as the existing stock is only Rs4,000cr compared with Rs1.03 lakh cr in the old series. Higher stock ensures smooth secondary market transactions among investors. RBI’s policy rate is supposed to be in sync of market rates. A cut in the policy or repo rate, at which banks borrowing short term money from the RBI, should also reflect in the market rates. But, rising bond yields may distort such traditional trajectory making monetary policies paralysed.